When quality is your only option. 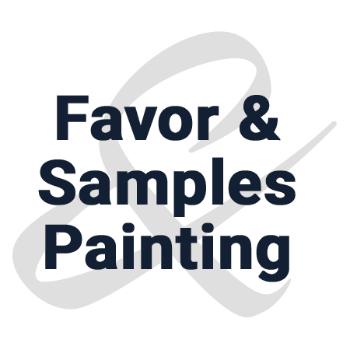 Favor & Samples Painting has over 25 years in the business, offering high quality, professional residential and commercial painting services in the Winston-Salem, North Carolina and surrounding Piedmont Triad areas. We enjoy an A+ accreditation with the Better Business Bureau, are licensed and insured, and we are also Lead Certified. We consider ourselves not only house painters, but we are Painting Engineers — we solve your house painting problems, and even help to prevent them in the first place! We are here to meet your residential painting needs, and our goal is to exceed our clients’ expectations during every step of the process. We are dependable, trustworthy, courteous, and professional, and an owner of our company is in your home at all times to ensure respectful concern for your property, as well as quality painting service. Additionally, Favor & Samples Painting uses only the highest quality, top-of-the-line materials to make sure your exterior home painting, interior home painting, or restoration services are going to last. Call us to discuss any project!